So I'm pretty much limited to the organic hippie kind, which is usually overpriced. And the point of that long rambling stream of consciousness is that I'm just too cheap to eat yogurt regularly. I love Yogurt! I grew up with it because it is a staple in Persian Cuisine. I am particularly in love with Greek Yogurts because thicker and with less carbs.. I also hate how difficult has become to find good and healthy plain yogurt, that is why I make it at home. It is very easy and yummy! If you need the recipe just google how to make Persian Yogurt (called MAST) and you will see how easy it is! 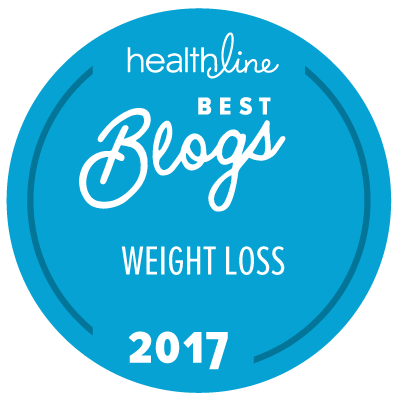 I have gripes and in fact I just wrote a post (to be posted Wednesday) about foods all fit blogs talk about that I don't like. I DON'T like greek yogurt. It makes me gag, it's SOOOOO thick, chokingly so! I like a smooth, almost drinkable yogurt. Like Dannon Light and Fit. Wasteful packaging and too "desserty" were the reasons I stopped eating most yogurt found on the shelves. They just don't taste natural. Like most power or cereal bars. They're too gimicky. I'll still substitute the organic greek yogurt for sour cream in chili and stuff. And it makes a great raita (mixed with diced cukes, lemon juice, toasted cumin seeds and pinch of salt and some garlic) on the various spicy Indian dishes. I do like plain yogurt right out of the container or on a baked potato. One thing yogurt-related that I HATE were those commercials with those two annoying women who would proclaim their love of yogurt above all as they sat in hideous lavender bridesmaid dresses and ate yogurt. Who eats yogurt at a wedding reception? Yogi Berra, not to be confused with Yogi Bear, is a guy too, and a real one :) I, known to be a consumer of processed foods and a bit lazy in the kitchen, make my own yogurt. Yes, it's that easy, and I feel so virtuous and frugal to boot. I read that Greek-like yogurt can be made by straining one's homemade yogurt, which is next on my to-try list, since the price of Greek yogurt in the stores seems a tad steep. I'm glad to hear I'm not the only one with a love/hate relationship with yogurt! Someday, after I tackle the whole kefir grains thing, i want to try making my own Greek yogurt too. We're housesitting right now, which is my excuse for not doing anything proactive about any of this, but we'll see, come spring, if I actually give it a try. Sounds relatively cheap and easy! I eat Soy yogurts (sometimes) Most yogurts now have gelatin in them...bummer. Sarah Haskins is brilliant. She really nailed it. Yes, I like yoghurt, but I don't wear a grey hoodie and, though I only have a graduate diploma (which is worth half a master's), I haven't given up my job since becoming a mother. I only buy organic 2% or non fat Greek or Icelandic style plain yogurt in the large size containers. All the other "national" brands are loaded with sugars, starches, HFCS or artificial sweeteners and I definitely don't want to eat that. But give me a blob of cream plain Greek over some pomegranate aril and I'm so happy! I eat yogurt but go for the unsweetened, non-fat kinds, without a bunch of crap added. I like to add fresh berries to it. It does annoy me that there are about a million kinds of yogurt that my grocery store stocks and only like 2-3 brands I will buy and they are almost always in those huge containers. But heck that is how most of the grocery store it...a million products and only a select few I will actually buy cause the rest of it is overly processed CRAP! It's difficult for me to afford the kinds that don't have so much sugar or HFCS. Besides, I like the idea of it more than I like the actual product. It doesn't always get used up before the experation date, which then wastes more money. So, it's a mix with me. I want to love it (sounds good in theory), but don't actually for whatever weird reason. Although I am guilty as hell of loving the desserty yogurts (I would happily eat my weight in that Yoplait chocolate moussey kind, om nom nom nom nom), you just can't beat Greek yogurt as a condiment. By itself, it's a nice substitute for sour cream. With things in it, it becomes delicious sauces. I've convinced myself that it's perfectly okay to eat tzatziki sauce with a spoon and maybe some carrot sticks because it's yogurt and thus good for you, but put it on a burger made with ground lamb (or hell, even a veggieburger) and HOLY CRAP. That'll be my new favorite word! Funny you should post this today because I am on DAY THREE of no yogurt - not by choice, mind you - it's just that the stupid college students all came back to town last week and cleaned out the one grocery store in town that carries my beloved Fage non-fat plain yogurt! It seems that every semester the grocery store is surprised by the avalanche of students and always runs out of certain foods...you'd think they would figure it out by now! ARGH!!! And it probably wouldn't be such a problem if they allowed more shelf space for it...you hit the nail on the head with all of the presweetened flavors taking up so much space. Very frustrating to be sure...I am having withdrawal symptoms! Sorry for the rant. 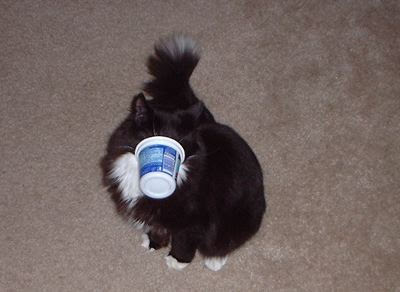 I love yogurt! Yeah, the whole yogurt thing is on my nerves too. A whole wall in the grocery store, just for yogurt?? Crazy. Just give me some Nancy's plain so I can add fruit and agave. My gripe? I just don't understand the fascination with Greek yogurt. It tastes like sour cream! I DO NOT want to eat a bowl full of sour cream. I did it once (on a dare) and haven't ever really recovered. I am cracking up here. My husband always jokes about yogurt being women's diet food, and wondering outloud if his man-hood will be affected if he eats some of "my" yogurt. I agree with you that most of the mainstream yogurts out there are way to sweet - whether it be real sugar or artificial sweetener. Oddly, it seems the more different varieties show up, the harder it gets to find one that I like. I want my yogurt to taste like yogurt, not pudding. The exception around here is Liberte Mediterranee, however it's really high fat (and some of their flavored ones are still too sweet for me). I'm waiting impatiently for Fage/Oikos/Chobani to show up in the stores around here so I can give them a try. I read in fitness Magazine that regular, plain yogurt contains 16 grams of sugar per cup! Flavored yogurt can have up to an additional 15 grams! Can't eat the stuff with the fake sugar -- yuk! So I just pass on yogurt, altogether. Sorry, to me the taste of that stuff is too much like the smell of mildew. I keep trying, but no luck. But then, I'm one of those who thinks cilantro tastes like soap. My husband, on the other hand, eats it regularly. Nice to be such a non-sexist household, huh? I like my Fage Greek yogurt, but seriously, the marketing of it as a wonder-food-for-women is crazy-making!!!! I was SO GLAD when I saw that Sarah Haskins piece (she's AWESOME! Have you seen the one she did about "Snapped?" Hilarious!). When she says "It's "who serves yogurt at a wedding good," I wanted to stand up and cheer! I also recently bought a yogurt maker, because all the splenda flavored/added fiber/liquidized yogurts out there are just plain awful. I live in Russia, where kefir is king! I have never tried it because I'm a little scared of it (I don't know WHY...just the unknown I guess.) Maybe I will try it now after reading your description. Yogurt and yogurt drinks are also very popular here. A whole dairy aisle is all yogurt and kefir, and that's it! So if you're annoyed with the giant yogurt sections, I'd say stay where you're shopping because a lot of other countries have bigger yogurt sections than milk!! Thanks, as usual, for all of the great links/resources. I buy plain Greek yogurt and eat it as-is or flavor it with fresh or freeze-dried berries. I love it. I used to make my own, but got lazy about it. Guys that eat yogurt - Michael, the main character in Burn Notice on the USA channel. I don't eat it (it won't stay down - I have an allergy to molds and certain bacteria) - but yogurt certainly makes sense. My hatred for yogurt is based on decades of hype. I'm allergic to the bacteria that make it yogurt, so I've never wasted my time trying to like it. The few times I've tasted some (east european friends used the plain kind a LOT) I couldn't stand to swallow. I don't mind plain yoghurt, but finding it is next to impossible. Unfortunately, after deciding that it was something I could add to my diet that might be good for me and suffering two weeks straight with a headache, it dawned on me (yeah, a bit slow) that it was the yoghurt causing the headache. Like anything else fermented (wine) or fungal (mushrooms) I am allergic. LOVED THIS! I have left the store disgruntled on many occasions because it's next to impossible to find plain yogurt. The sugar and additives in most yogurt totally negates its good qualities. I like the plain greek yogurt. Yum! I just have to wade past all the junk to find it. Don't know why it never occurred to be that some folks are allergic to the bacteria, not just the dairy! Food allergies sound like such a pain. So far (knock wood) I don't have any, but I sure sympathize. We love yogurt! I made it myself for years, but got lazy (like bunnygirl). I buy the plain quarts or half gallons of Mountain High or buy it at Trader Joe's in quarts. Love it with berries and a bit of honey. I've never had a problem finding it plain. I too detest those tiny containers-so much wasted packaging. And if I want to blow that many calories, I'll get a Real Dessert! Back in the 60s I made my own yogurt without a yogurt maker--now I can't remember how, but it involved cheescloth. Anyway, I eat Fage fat-free plain yogurt nearly every day and I believe I am doing something good for myself. And my word verication is "allygod" which I may take as a nom de plume. Yogurt with fresh fruit is the best. I buy the larger tubs, rather than the individual servings, and have a half serving with strawberries or a small banana. Perfect treat - it's definitely helped me to stay away from sweet desserts. In terms of probiotics, I'm not sold on yogurt's major benefits for relieving GI complications. Sure, if you have minor problems it may help regulate a bit...but the benefits of probiotics are in the bacteria's ability to survive the acid and bile of the stomach, to then proliferate in the lower intestines. For digestive assistance, my vote is for a probiotic supplement in the form of a refrigerated capsule. Opt for one with multiple strains and multiple species - much more efficacy and a higher potency. Not a Yogurt eater here. Although I have read plenty of information of the longest living people on the planet eating Yogurt as a diet mainstay! Great topic. I don't really eat dairy anymore, but when I DID, I ate yogurt just about every day. I got the organic stuff that only had probiotics and milk and nothing else in it. It was hella expensive, but it was the only brand I could find that didn't have a pile of junk in it. I don't think that YOGURT is healthy so much as PROBIOTICS are healthy, to be honest. Most yogurts are just as bad as a chocolate bar! I like yogurt but I ate so much of it in the past year, I got sick of it and had to take a break. I just recently bought one of the so-called medicinal yogurts over the weekend but I have yet to try it. I tried the plain yogurt but I'm so used to the "flavored" ones I just couldn't stomach it. I like yogurt enough to eat it every so often - altho, like you, the whole dessert factor has really run amok, as with mix-ins like the old Steve's Ice Cream (Mmmm....ice cream - my FAVORITE diary product). And now that you mention it, I never noticed how it's only marketed to women. Boy - does that make me steamed. Maybe I could use it as another women-only product: bathroom cleaner. I have heard & read tons of great things on Kefir & I must try it! My friend swears by it! PS: Too lazy to make my own! I eat a lot of nonfat plain yogurt and, because it only comes in expensive small containers, it got really expensive. So now I make my own and it is as cheap as milk. With no added preservatives. I would love to try kefir. Hope you can find the "grains"? Those squirt tubes of "yogurt" = "gogurt" etc. are probably one of the worst things you can give your kids. full of sugar, pseudo-healthy fake food. Yikes. I am not crazy about yogurt. Sometimes I eat it, but I'm more likely to use it as an ingredient. I especially don't like that nearly every diet plan you ever see has great gloppy quantities of yogurt in it. Which I still prefer to cottage cheese, but just barely. My husband sometimes eats yogurt. I don't think he realizes that this makes him appear to be a Big Girlyman to advertisers. Good lord youre a great writer. and with that I think I plead the 5th as OIKOS sponsored me for BlogHer this year. *whispers* I dont eat much yogurt. I love yogurt: in a smoothie, spooned on top of my oatmeal with nuts and honey, spiced-up as a dip for veggies (for what my kids call our veggie feast), in a bowl garnished with Grape-Nuts and fruit. I buy whatever organic kind I can find in the largest tub possible. I guess that I could make it, but it's probably lower on my list than buying a share of a cow so that I can get unpasteurized whole milk. Which is lower on my list that getting in on CSA. Which I haven't done yet because I'm hoping that we're moving to a new part of the country, and I'd hate to have to undo all of the things I haven't done anyway. 40 some odd comments...44. What could I possibly add to this stream of commenting about yogurt? I never knew there was so much to know about yogurt and I didn't really care and I'm surprised that so many people care. How caring!? My preference is Yami Yogurt which I thought did not exist any longer but apparently it's alive and well somewhere. I looked it up. It is not very sweet and you can choose to mix up the teaspoon of chocolate yack at the bottom of the carton but that doesn't make the yogurt any sweeter. Most of the diet flavors are hideous. WW are inedible and only 1 point of inedibleness. Yay. I'm not real fond of it .. never have been. For a while, my son was working for a yogurt distributor and was able to bring home fairly large amounts of it which was getting close to its sell-by date. He quickly got sick of it and my neighbours benefitted from it. Oh you crack me up! I loved all the -ications!! I totally agree with you on all those points. Ew! Yogurt! The only kind I can stomach is chocolate flavored coconut milk yogurt, which is so unhealthy I might as well eat some soy or coconut ice cream instead of yogurt! When I was studying to be a personal trainer. The natropath and nutritionist informed all of us to never recommend yogurt to our clients because something in it both stops the absorption of calcium into the body and can leach out calcium from our bones. Ever since then I've been wary of it, but never found any info about this anywhere else other then the case studies and scientific papers about it. Not that I can eat it anyway, any dairy is a killer for me. I LOVE yogurt and I admit I am a big fan of the different flavours. (Apple spice, lemon chiffon, and pina colada are particularly yummy ones I have tried lately.) Although, your idea to flavour plain yogurt intrigues me... funny how some things just never occur to me. I like savory yogurt, although the non-fat kind messes with my stomach, so I buy 2% greek yogurt and then make dips. Lord knows I'm eating too much salt, but once a month, all bets are off! But those dessert yogurts gross me out completely. Eew. i use yogurt for cooking a lot... i use it to make Chapatis, Tandoori, Tikka, Tzatziki, Lassi(especially MANGO lassi). though, lassi isn't technically cooking, just blending. Sometimes, if i have fresh fruit about to bad, i'll make my own "dessert yogurt". i like it. plain. whole milk is preferable over the others, mostly because it's better for the chapatis. Wow! Those are definitely things to ponder on. I don't really eat yogurt or ice cream so this isn't a really big issue with me. I'm more of a cake kind of girl. (Worse? hehehe) Anyway, when I do eat yogurt, I like it plain then I just flavor it myself. Ditto on being picky about yogurt. I don't like "diet" yogurt--fake sugar/no fat...no, thank you. I like real yogurt. I can eat the low fat kind of it's not chock full of fillers. I like yogurt sweetened slightly, but not too much. I loved Brown Cow Cream Top yogurt in Raspberry or Strawberry, but I can't find if very often now that I don't live on the West Coast. I've recently discovered Greek yogurt, and I'm in love with Fage brand. I agree with all of your positives and negatives on yogurt. Enough already. I'm considering making my own. I found a recipe for making yogurt in a crockpot! One weekend when I'm not scheduled up to my eyeballs, I'm going to give it a try. I love store-bought yogurt. I've tried and tried to make my own, but it never thickens enough, doesn't strain well, and doesn't have that yorgurty tang. I just flavor my plain yogurt myself, because it's cheaper (where i live anyway); but recently did have a flavored "commerical" yogurt, and it tasted horrible, artifical-like, and a little slimey or something. Feel very virtous, and have no desire to buy the store stuff. Perhaps will start to make my own plain stuff from scratch. i really need to start making my own yogurt, it's looks so easy! and i just bought a candy thermometer so i really have no excuse not to. We buy the bajillion flavored single serve containers and i get a 32oz container of plain every week. I love yogurt, and i just started getting used to plain yogurt and now i'm hooked! But the prices for the packages name brand ones have just been going up and up, it's now $1 for a 6oz container of yoplait(they're not exactly on my good side because of their HFCS)! I mean usually it's on sale for a bit less but still. Why would anyone buy a 6oz container for $1 when they could get the store brand for 32oz container for 2-3 dollars??? But the thing about having a big thing of plain is trying to figure out what to put it in when you're on the go. Luckily i answered i answered my own question a few weeks ago. While walking through the refrigerated section at Target i came across their store brand of 6oz flavored yogurt (Archer Farms.) i picked it up to read the nutritional label (of course) and realized that the top was RESEALABLE! It can pop on and off like the ones on the big yogurt containers! And each container was only 44 cents or something like that. The yogurt was pretty good but i was more excited about the container. I guess i really don't have an excuse not to make my own yogurt. DANG! In under 30 minutes, I can have 4 quarts of prepared milk with culture added and placed in my Waring Pro Yogurt Maker. In as little as 3 hours have a gallon of some of the best yogurt you ever tasted. I get whole milk or fat-free for $2.50 a gallon so that is all it costs - plus the electricity. Do you want to swallow this?! Imagine eating yoghurt eaten out of dog’s rear! Ewwwwwwww! Light and Fit doggish model or actress sounds and looks like my dog licking his! She may love it but it would be less disgusting to eat yoghurt out of any other container … or no yoghurt at all! Make your own Kefir and yogurt! It's fairly easy! :) But around here I've been seeing Kefir lately. Our Fred Meyer carries it.